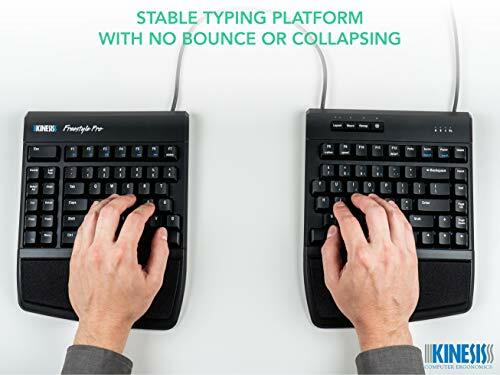 The Kinesis Freestyle VIP3 Pro Accessory with integrated palm supports easily installs onto the underside of the Freestyle Pro keyboard offering three tent settings of 5,10,15 degrees to reduce forearm tension.REDUCE FOREARM STRAIN FOR MAXIMUM ERGONOMICS: Conventional flat keyboards force you type with your palms facing down. 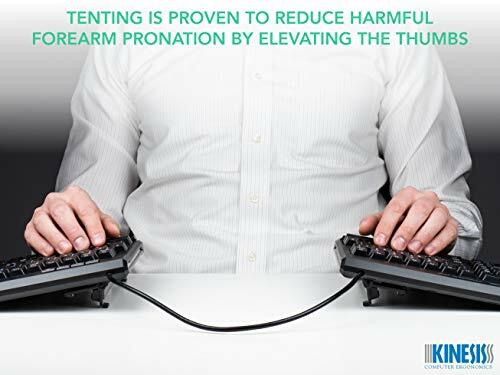 This harmful posture puts pressure on the forearm muscles and tissues which reduces blood circulation and can lead to fatigue and repetitive strain injuries (“RSI”) like carpal tunnel syndrome. 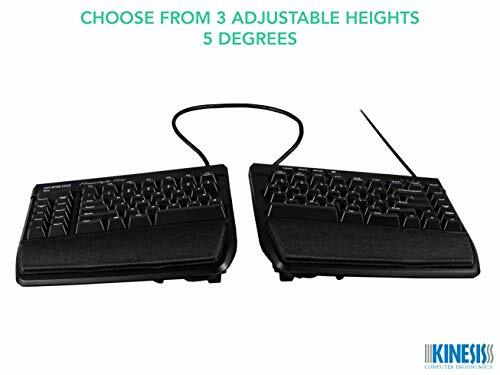 Attach the VIP3 Pro accessory to your Freestyle Pro keyboard to elevate your thumbs for a significantly more comfortable and healthier typing position. 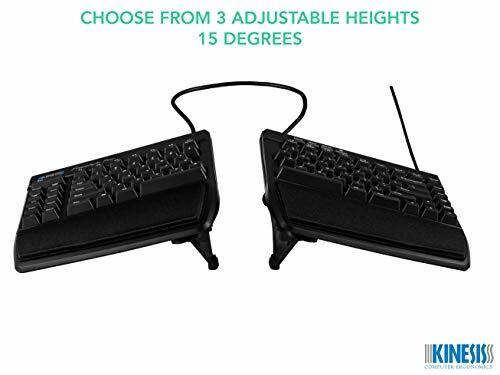 THREE ADJUSTABLE HEIGHTS TO CHOOSE FROM: Ergonomics is all about finding the right configuration for your body type and workstation. 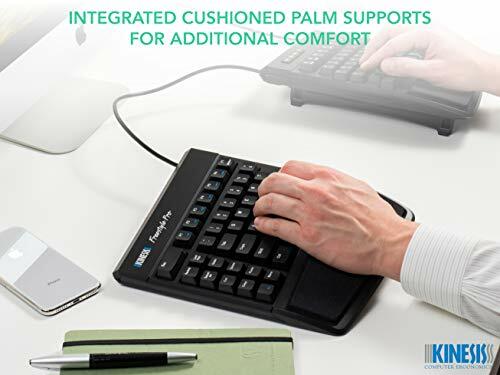 The VIP3 Pro kit lets you choose from 5, 10, and 15 degree tenting heights for maximum comfort and easy reproducibility. 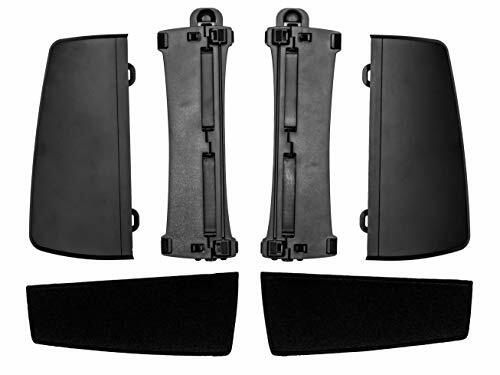 WHAT’S IN THE BOX: Left and Right Pro v-Lifters, Left and Right Pro Palm Supports, Left and Right Adhesive Palm Pads. 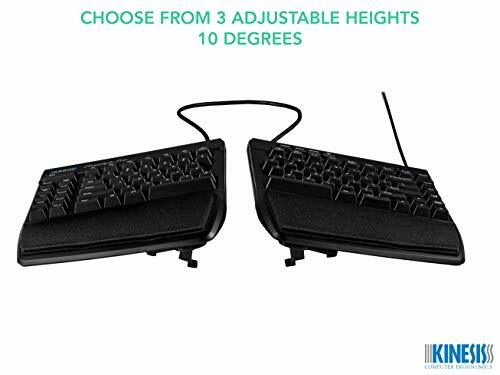 KEYBOARD NOT INCLUDED. 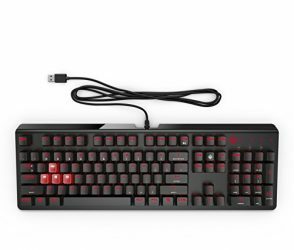 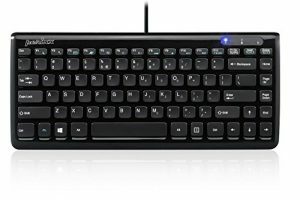 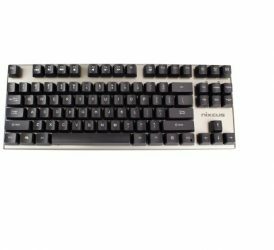 COMPATIBLE WITH ALL FREESTYLE PRO KEYBOARDS: The VIP3 Pro (AC920) is compatible with all KB900 series keyboards from Kinesis. 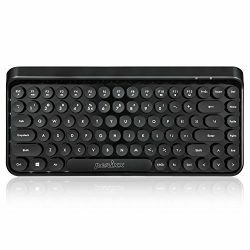 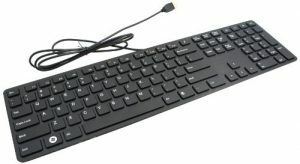 Not compatible with Freestyle2 keyboards which have their own corresponding tenting accessories.